Most of the articles that I wrote is either a place for visiting, eating or sight-seeing. For this post I want to share with you about one place that is quite famous for people who live near Merlimau, Melaka. Why did I say this place is famous? It is because every time you come here, there will be full of people. You’d probably wondered why right? Well, people come here to buy fresh fish. You could also find rare fish here. 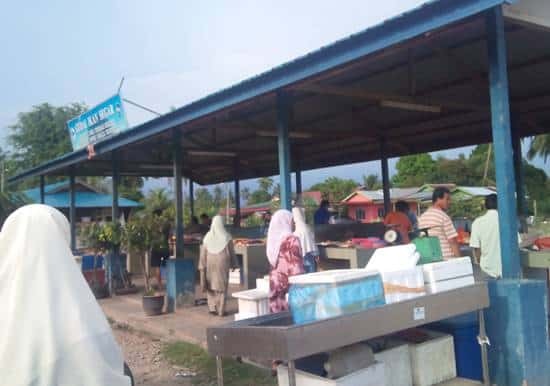 This place is “Gerai Ikan Segar Pengkalan Sempang” or in English we call it as Pengkalan Sempang fresh fish stall. You probably wondered why I am writing about this place. It is because this place is the right place if you want to buy fresh salt water fish. The fish that are being sold here are freshly caught. 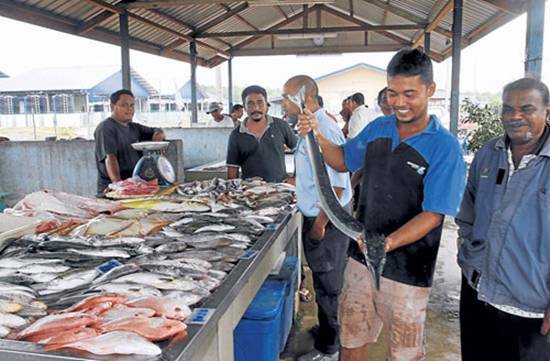 This place also situated near the boat jetty to make it easier for the seller to sell their catch. The fishmongers here re also fishermen. They sell what they caught. There are about 6 stalls here. All are selling fish or at least whatever they caught from the sea. The unique thing about this place is that you can find many different types of fish. Even the one that you never heard off or seen before are also being sold. You can see a lot of differences, in terms of quality and price, of the between the fish that are sold here and the ones in the supermarkets or in the wet markets. When I say that this place sell freshly caught fish and have a high quality, you probably worried about the price right? You probably imagine the price is twice than normal price, right? Actually the price is quite the same as the wet market or supermarket market price. There are few types of fish that are really cheap. It cost as low as RM6 per kilogram. Shocking right? That is why I suggest you to try to buy fishes here. Besides buying fish, you can enjoy the scenery of sea because the sea is situated just 100 meters away from the stalls. Gerai Ikan Segar Pengkalan Sempang also has a jetty for the angler who want to go fishing in the Straits of Melaka. Do you want to know where the place is situated? Gerai Ikan Segar Pengkalan Sempang is situated in Kampung Pengkalan Sempang. It is situated near the fisherman community hall of the village. If you really love eating fish, it best that you visit and buy. The fish are fresh and for sure they taste much better and you could also keep them longer in your fridge. So, those fish lover who want to try to eat and cook fresh fish, you are recommended to come here.